I joined The Open University in 2001. A graduate of UCL, I gained my DPhil in 1995 from St Catherine’s College, University of Oxford, where I also served as Research Associate and Graduate Advisor from 2001 to 2005. Before joining the OU, I held AvH (Alexander von Humboldt), HAB (Herzog August Library) and NIAS (Netherlands Institute for Advanced Study) Fellowships, and was Senior Research Fellow at Wimbledon School of Art for four years. My current contributions to international research collaborations include serving as Visiting Professor at the University of Trier (DFG Forschergruppe 2539, Teilprojekt Prof. Dr Martin Przybilski: "Stadtkultur und Resilienz: Das Fastnachtspiel auf Nuernbergs Buehnen vor und nach der Reformation"), and as the UK member of the NWO-funded Technologies of Spectacle (ToS) research group led by Prof. Dr Jan Lazardzig (FU Berlin) and Dr Hole Rossler (HAB). German-Speaking Countries. In: Commedia dell'Arte in Context, CUP 2018. Commedia dell’arte related glass: early modern Venice. In Commedia dell’arte: Studi storici, n.s.1, 2018. Stefanelo Botarga and Pickelhering: Fishy Italian and English Stage Clowns in Spain and Germany. In: Kuepper, Joachim and Pawlita, Leonie eds. 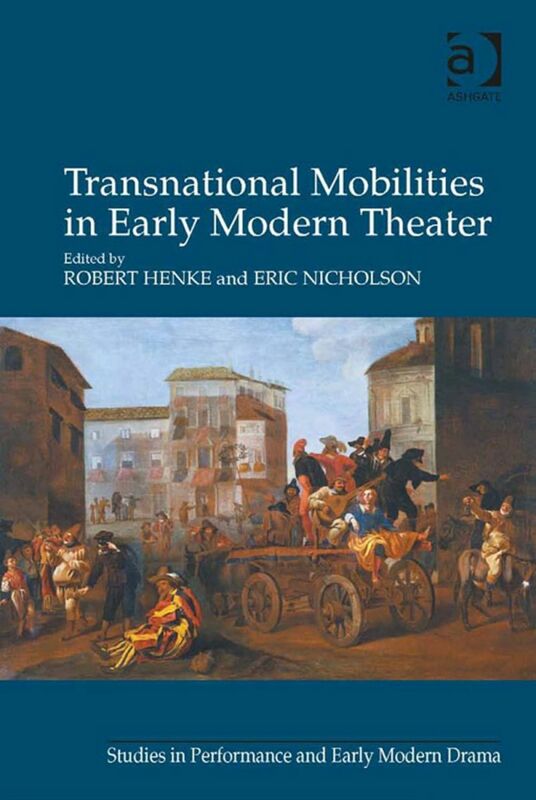 Theatre Cultures within Globalising Empires: Looking at Early Modern England and Spain. Berlin/Boston: Walter de Gruyter, 2018, pp. 15–39. I peer review for academic and trade publishers, journals and research funding bodies in the UK, Europe, US and Canada, and serve on the editorial boards of Early Theatre and Commedia dell'Arte: Studi storici, the executive committee of the UK AvH Association (co-organizer, with host Dr Ian MacLaren, Scotland Meeting, Glasgow, June 2016; Programmes Sub-committee, with Prof. Geoff Thornton, Annual Meeting, Oxford, Sept.2016; invited participant: Humboldt Colloquium: “Moving Forward –The UK-German Research Network in a Changing World”, 15–17 March 2018, Oxford), the steering committee of the discipline-shaping NYU-based international research collective Theater Without Borders (Organizer: TWB Annual Workshop 2012; co-convenor, with Prof. Pavel Drabek, TWB Publication Workshops 2016 & 2017), and the committee of TOIA (The Oxford Italian Association), for whom I organized public lectures at St Anne's College, Oxford in 2015, by OU colleagues Profs Helen King and Nicola Watson (details here). I have contributed over 50 external presentations since 1.1.2014, including: BARCELONA (Oct.2018 x2: ICTM & Museu Nacional d’Art de Catalunya); BELFAST (Oct 2018: QUB, HSTM Network Ireland); BERLIN (March 2015: RSA); DURHAM (July 2016: SiTM); EDINBURGH (Oct 2017); ESSEN (KWI, Sept 2015); FLORENCE (Medici Palace, Oct 2017: ToS.II); FREIBURG (FRIAS, Feb 2017); GDANSK (July 2017: ESRA); GIESSEN (Dec 2015 x2 & Dec 2017 x2); GLASGOW (June 2016: 1st AvH UK Scotland meeting); HULL (June 2018: TWB); IRSEE (Schwabenakademie, March 2015 & March 2016); KÖLN (Schloss Wahn, May 2017: TWB); LEEDS (Tetley Art Gallery, March 2017; IMC, July 2017 & July 2018; IMS, May 2018); LONDON (The Globe Theatre, Jan 2016; Birkbeck College, April & May 2016, Feb 2017: CHASE; Tower of London, Nov 2016: Gloriana Society; KCL, Dec 2017; UCL, May & Oct 2018; Warburg, June 2018); MAINZ (Inst für Film-, Theater- und empirische Kulturwissenschaft, May 2017); NEW DELHI (Nat. School of Drama, Jan 2014: 16th National Festival of Indian Drama); NEW ORLEANS (March 2018: RSA); OXFORD (Oxford Embroiderers' Guild, Jan 2014; All Souls' College, Feb 2014; Ertegun House, June 2014: TWB & March 2017: Prison/Exile); PARIS (Sorbonne Nouvelle, May 2014; June 2015 [NYU Paris]: TWB & June 2016 [Sorbonne]: TWB); TOURS (Sept 2017: 15th Round Table on Tudor Theatre); TRIER (May 2017: DFG Forschergruppe 2539); VIENNA (Dec 2015; June 2018: ToS.III); WIENHAUSEN (March 2018: SiTM-D); WOLFENBUETTEL (HAB, Aug 2015: 39th International Summer School; July 2016: 15. Jahrestreffen des Wolfenbütteler Arbeitskreises für Barockforschung; Feb 2017: ToS.I). My teaching interests include English and comparative literature, drama and performance culture, primarily within the early modern period. Departmental and Faculty courses to which I contribute include A815 (our English MA) and A334 (our level 3 course in English Literature before 1800). 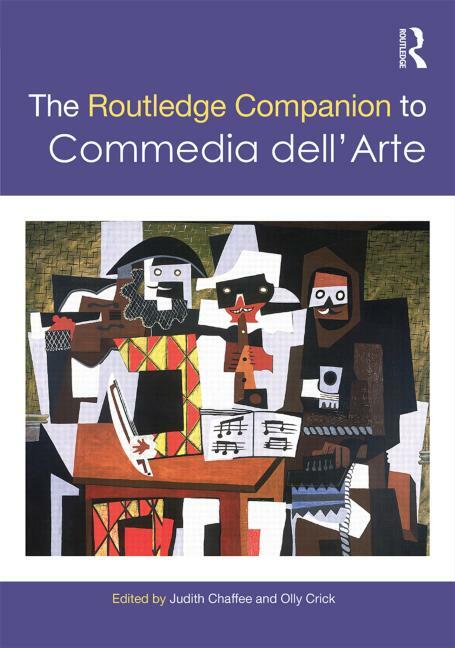 Teaching text books to which I have contributed chapters include Picturing Performance: The Iconography of the Performing Arts in Concept and Practice (1999) and the OU English MA handbook (Da Sousa Correa, Delia and Owens, W. R. eds. The Handbook to Literary Research, 2010). I enjoy guest lecturing at British and European university departments featuring my publications on their course reading lists, and warmly welcome doctoral enquiries in my research areas (m.a.katritzky@open.ac.uk). Heck, Thomas F.; Erenstein, Robert; Katritzky, M. A.; Peeters, Frank; Smith, A. William and de Vries, Lyckle eds. Drábek, Pavel and Katritzky, M. A.
ISBN : 810117568 | Publisher : Northwestern University Press | Published : Evanston, U.S.A.
Katritzky, M. A. and Heck, Thomas F.
Henke, Robert and Katritzky, M. A. eds. Katritzky, M. A. and Davis, Jim eds.